A big book about a big ride. 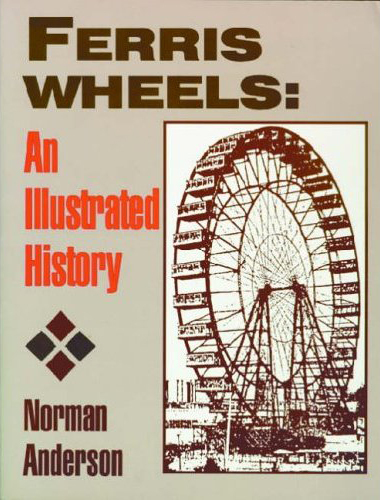 A gripping story of one of the engineering marvels of both the nineteenth and the twentieth centuries, the Ferris wheel. 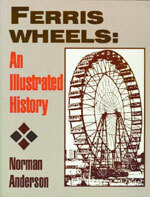 The Ferris wheel, perhaps more than any other amusement ride, symbolizes all that is magic about amusement parks and county fairs. Towering above the carousel, hot dog stands, and kiddie rides, the Ferris wheel lifts young and old alike for never-to-be forgotten views. Few passengers forget their first ride on the queen of the midway and the sensations they felt when the rapidly spinning wheel carried them over the top. Norman D. Anderson is Alumni Distinguished Professor at North Carolina State University. He is the author or co-author of many books, mostly in the area of science.